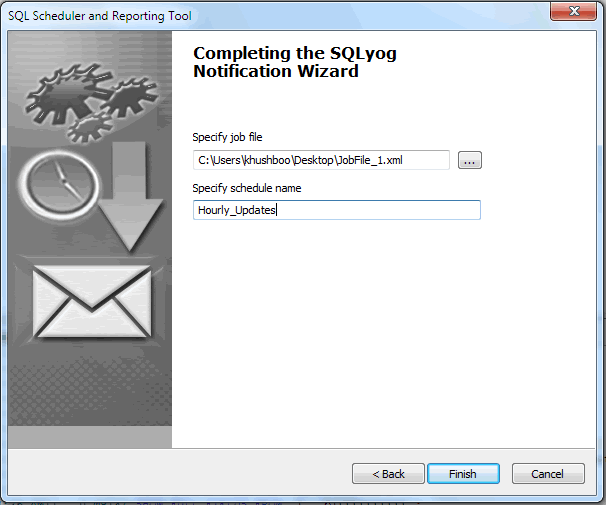 Here is what you will see after you have set up your reporting service and selected the Run Immediately option. 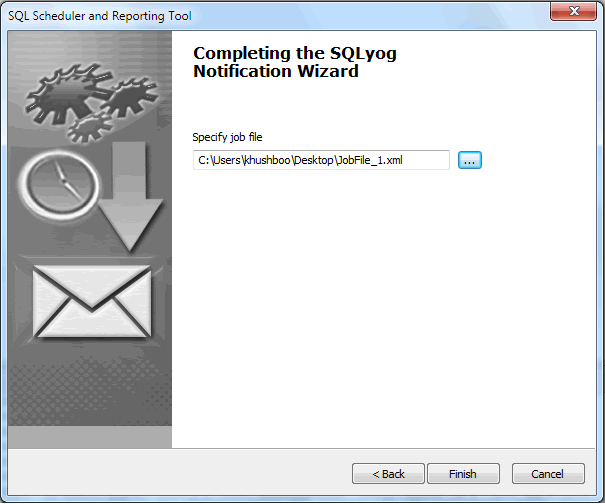 If you selected the option Save Configuration File at the previous wizard page, you will be provided with a page where you can specify the file name to save your reporting session for future repeated use. 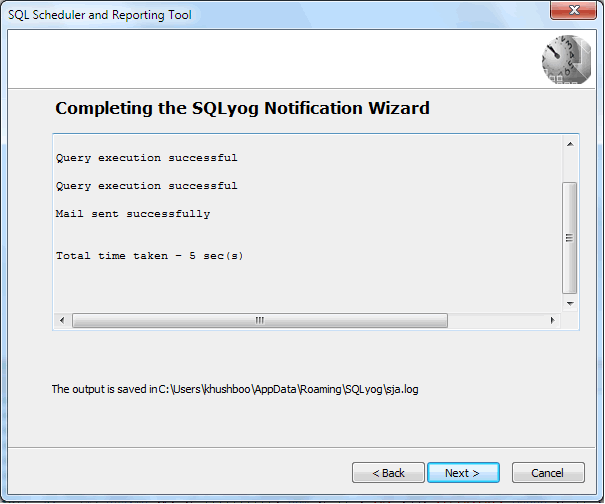 In Windows, SQLyog can use the Windows Task Scheduler to schedule the reporting process. If you want to schedule the session's repeated launch, just click on the Back button and select the Save & Schedule It using Windows Scheduler option. Then press Next and you will get the page to enter file name to save your session and schedule name to setup the following session's timetable. Clicking on Finish button starts up the Windows Task Scheduler dialog.